All our Radio Taxi operators are characterized by the greatest professionalism, competence, skills and kindness. We will be more than pleased to lead you through an enchanting journey to the discovery of our land, our history, art and culture. 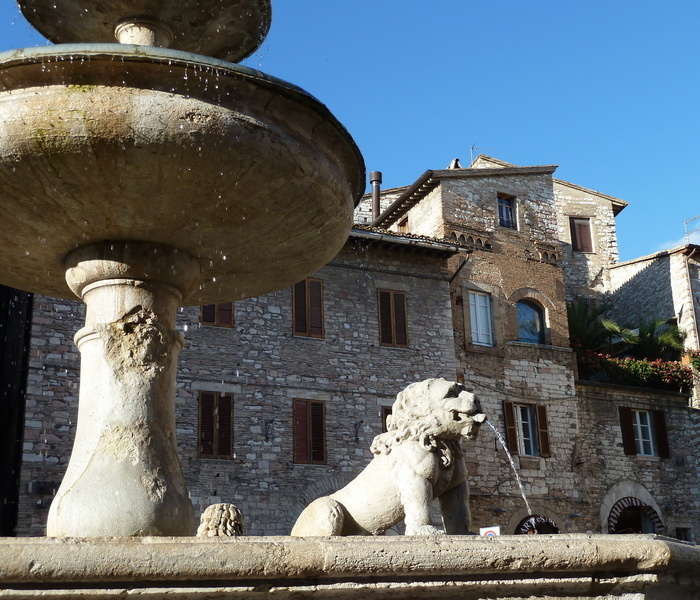 Our main asset is surely given by the centrality of our office located downtown in Town hall square, meeting point of all the tourist flow in Assisi. RADIO TAXI ASSISI office is open from 6 a.m. to 12.00 p.m. and, upon reservation, from 0.00 a.m. to 6 a.m. and it is always ready to offer a top service to meet any possible customer request. We deal both with individual tourists, groups and tour operators providing all the information needed to visit our town. Do not hesitate to contact us; we are at your disposal to create wonderful tours in and around Assisi both for individual tourists and groups. 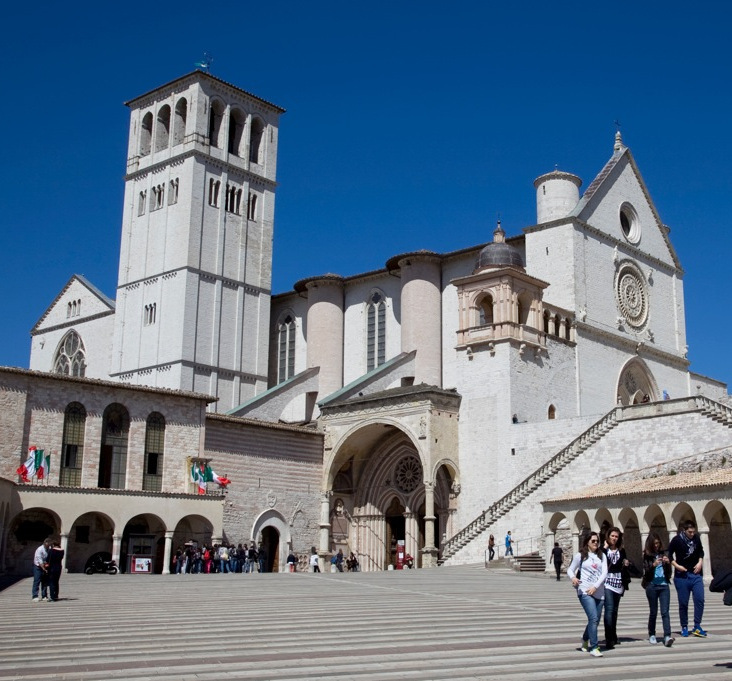 We will carry through the thousand-year old history of the town of Assisi giving you the opportunity to be accompanied by official tourist guides of Umbria region belonging to the Assisi Tourist Guide Association (check out G.A.I.A website www.guideassisi.com ). We accept Debit and Credit card payments even for single rides. Non-stop Taxi service with final payment directly to our drivers. Even before the canonization process of St. Francis was completed, it was felt the need to build a big Basilica to receive the remains of the Saint. On 29th March 1228, Brother Elia offered a field placed just outside the walls on the far end of the hill, where to build the church and on 17th July, Gregorio XI laid the foundation stone of the new building, which became papal property on 22th October, as wished by the Pope himself. On 25th May 1230, St. Francis body was moved with a solemn holy procession from St. George church where he was initially buried, to the new built lower Basilica. Completed in its basic features, the huge complex was solemnly sanctified by Pope Innocenzo IV in 1253. It was built right in the place where St. Francis chose to be buried, in that area of Assisi known in Middle Ages as “hell’s hill” that is the place once dedicated to public executions. The abbey of Saint Peter was first built in 10th century and re-built in 12th century outside the town walls and only in the beginning of 16th century was incorporated inside the walls. It offers an interesting rectangular Romanesque facade separated in the middle and upper section by two rows of hanging arches among which you can appreciate not only the three enormous rose windows but also the peculiar dome placed above the raised presbytery. The severe interior of the church is mainly due to the extreme restoration works carried out in 1954, which took away the Baroque altars but kept the three Romanesque internal naves that reach their climax in the wonderful raised altar. 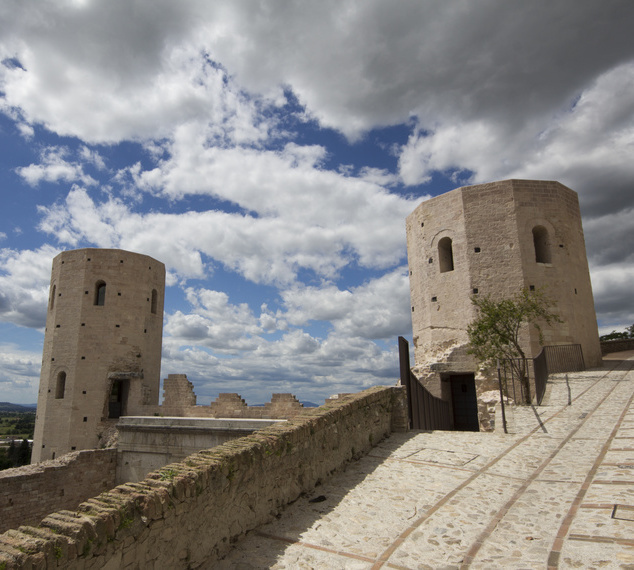 Placed on the top of the hill overlooking the historical city center, the Fortress is linked to Assisi by high crenellated walls. Already existing in 13th Century, it was rebuild from the foundation by the papal legate Egidio Albornoz, who set up here a garrison house. Over the following centuries, the central unit was changed and expanded many times and it lost its original military purpose in the middle of 16th Century and it was then used as a prison. Become public property in 1860, the building was heavily damaged by local vandals searching for unreal treasures. Town hall square rises on the ancient area of the Roman Forum and it can be considered as the historical core of Assisi. The Roman Temple of Minerva (first century B.C. ), People captain’s Palace (13th Century), People Tower completed in 1305 and Priors Palace (16th century) all overlook this square. The temple of Minerva, dating back to the late Republican period was erected by the quattorviri Gneo Cesio e Tito Cesio Prisco at their expenses. The attribution to the goddess Minerva derives from the finding of a female statue, although a dedication stone to Hercules has been found, and the temple was likely dedicated to this male demi-god. The façade has been well preserved, with its six fluted columns, with Corinthian capitals lying on footstalls placed on the staircase leading to the pronaos. 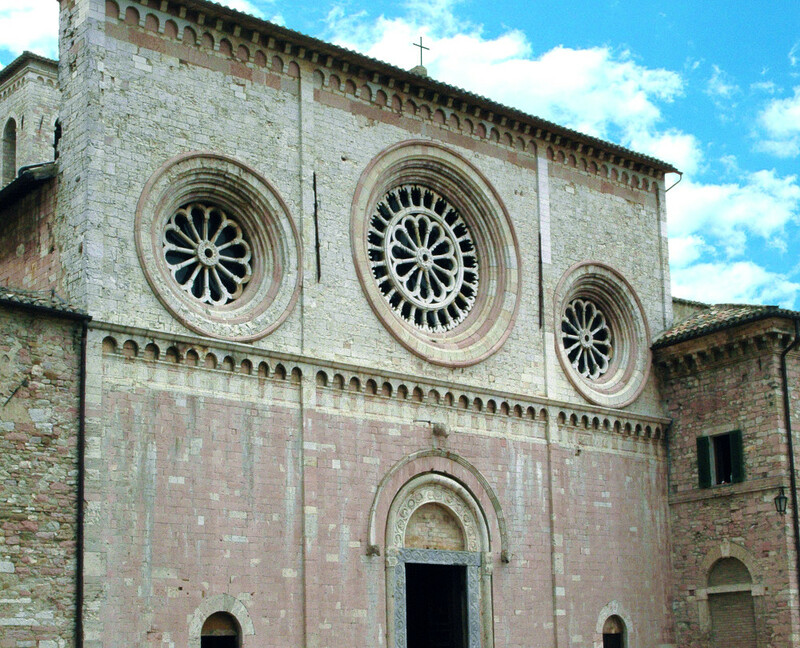 Not far away from Assisi town center, San Rufino cathedral is dedicated to the Patron saint of the town and was built under the Bishop Ugone. 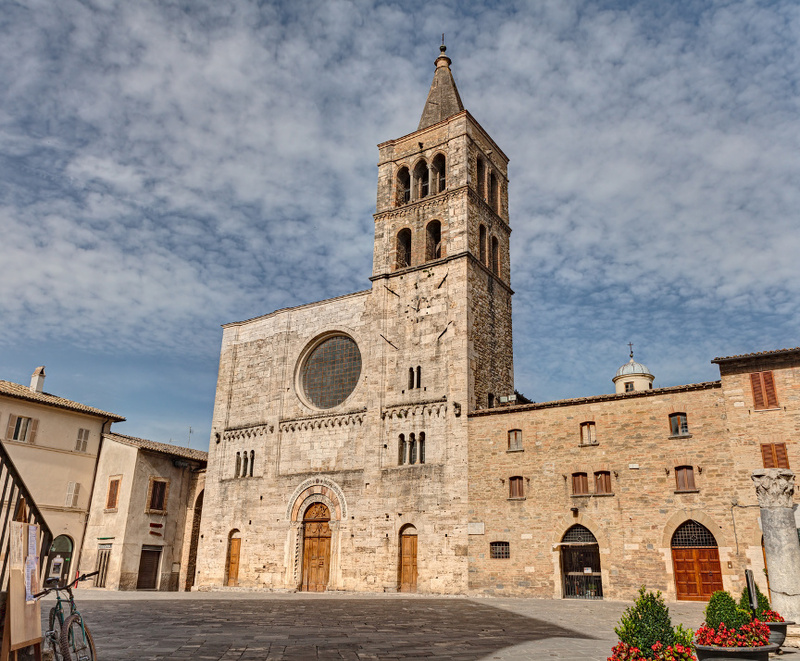 This church is a wonderful example of Romanesque architecture and its facade is divided up in three sections. The bottom part is marked by squared elements where the entrance gates open up; the middle part is decorated with three rose windows, the central one representing the symbols of the four evangelists; the upper part shows a tympanum with a remarkable Gothic arch. 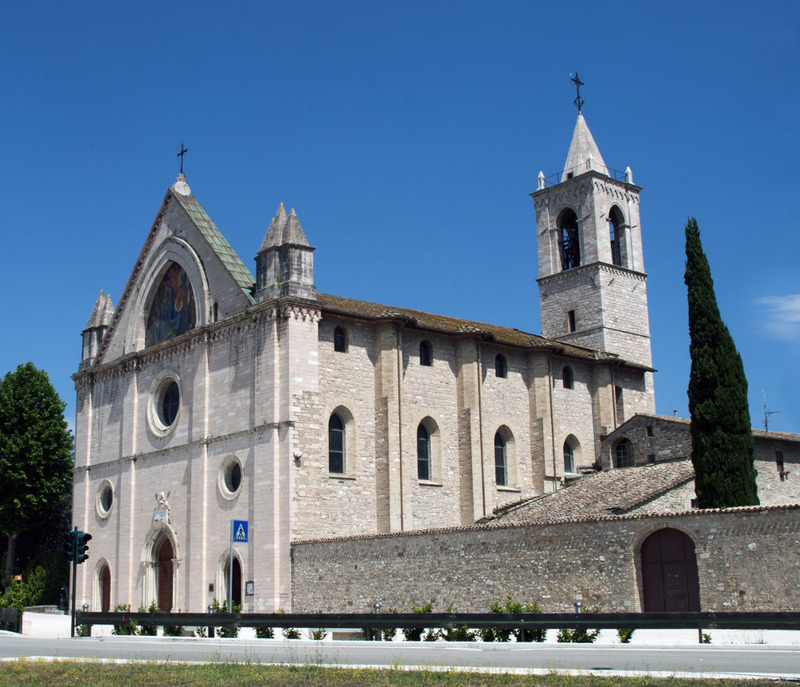 The Basilica of Saint Clare was designed by Filippo da Campello and built between 1257 and 1265. 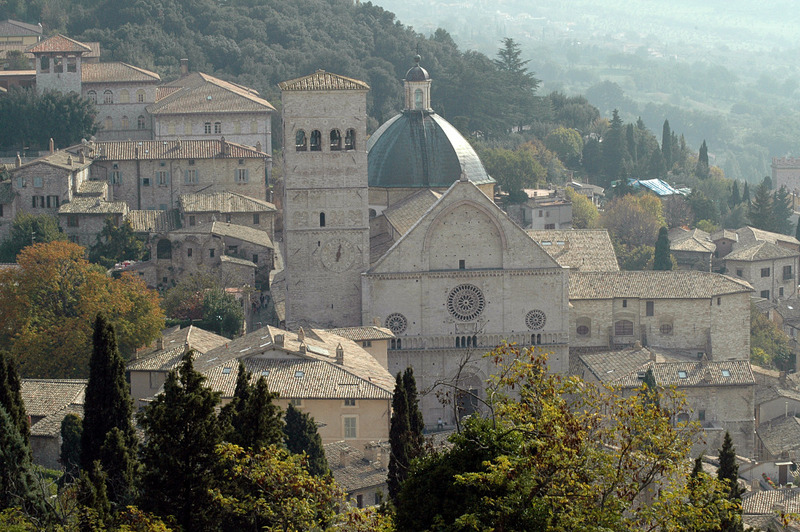 It raises in the heart of Assisi and it is dedicated to Santa Chiara, another eminent person of this town, who decided to follow St. Francis path. The Basilica constructed both with the typical rose stone extracted from Mount Subasio quarries and with white stone, contains precious frescos dating back to the period from 12th to 13th century. Entering the Church, in the first chapel on the right, along the only existing nave, you can appreciate the original Crucifix that, according to the tradition, would have encouraged St. Francis in San Damiano church, to “repair the house of Lord”. 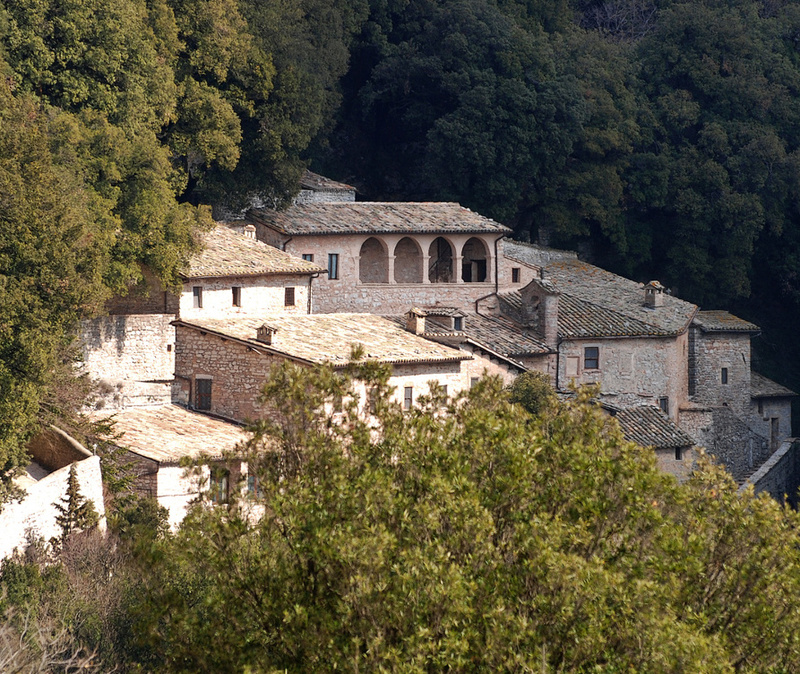 The Eremo delle carceri is a hermitage complex located just five km above Assisi walls, on the slopes of Mount Subasio Natural Park, deep in a holms oaks woodland, peaceful and silent oasis where St. Francis loved going on his prayer retreat. You can reach it by travelling on the road skirting the ancient borough and climbing towards Mount Subasio. After crossed an archway, you will reach the so called “Friars little cloister”, a suggestive belvedere overhanging the Prisons ditch. The convent, made of two wings joint at right angle, was extended in 15th century on the site of a small chapel dedicated to Santa Maria delle Carceri. It hosted since the dawn of Christianity the hermits searching for a shelter in the small caverns around. Just four Km. 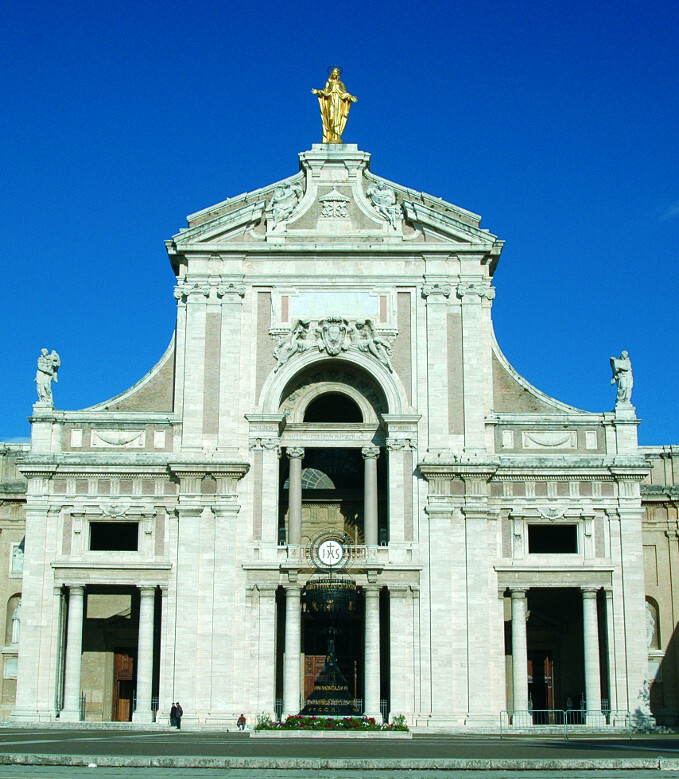 away from Assisi town centre you will find the village of Santa Maria degli Angeli where stands out the majestic Basilica, built between 1569 and 1679 in order to incorporate different units of Franciscan small monastery developed around the Portiuncola. This was the place chosen by Francis as his dwelling as “that place was frequently visited by celestial spirits” according to the Legenda maior by Bonaventura from Bagnoregio. At the conclusion of the council of Trent Pope Pius V, considering the holiness of this place, decided to build the new Basilica. Its main purpose was to host all the pilgrims flocking here during the solemn indulgence of Forgiveness established by Francis himself. The three naves church was designed by Galeazzo Alessi, while the current facade was made by the architect Bazzani and dates back to 1930. The chapel of Portiuncola, as previously revealed, has a suggestive history; it was own by the Benedictine monks of Mount Subasio, but it was in bad condition until Francis, in 1205, decided to establish here the Franciscan Order. Around the Portiuncola the first sheds of the friars were erected. Here Francis offered the tunic to Chiara in 1212 and held in 1221 the Charter of mats attended by more than 5000 friars. San Damiano is a tiny church located just outside of the walls of Assisi. According to the tradition, it was here, in summer 1205, where kneeling in prayer before the crucifix, Francis heard first the voice of God ordering him “to repair the house of Lord” and where, some years later, he wrote the Canticle of the Creatures. It was completely deserted when the “Poverello” entered it at the beginning of his spiritual change. When he saw this little church, placed in a sweet slope of Assisi hill, he decided to get in and pray. In front of the crucifix, he started to pray God when from the mouth of Christ these words came out “Francis, go and repair my church which, as you can see, is all in ruins”. In the valley right next to Assisi, few kilometers away from Santa Maria degli Angeli, you will find the Sanctuary of Rivotorto, better known as Sacrum Tugurio. When St. Francis left his comfortable family life to dedicate all himself to a life of pray and poverty, he decided to stay in this humble dwelling, a deserted shed building, with a roof made with branches, small and narrow rooms used as a shelter by peasants and poor people. Francesco lived here for about 2 years (1209-1211) founding with his first companions the order of Friars Minor. The current building was erected in 1854, following the terrible earthquake who destroyed the Church and the 17th century monastery that were previously built while the Sacrum Tugurio remained always undamaged. 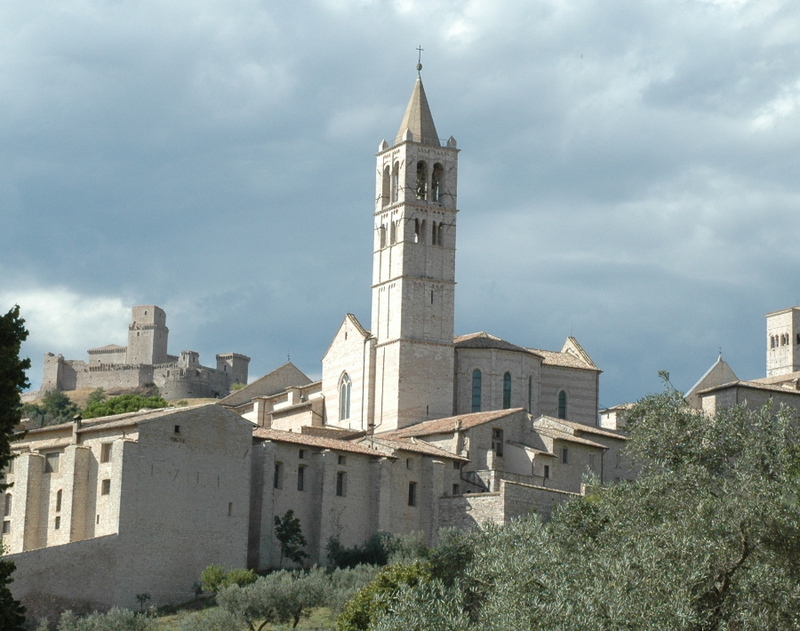 Radio taxi Assisi organizes a shuttle-bus for San Damiano in combination with a visit to the Eremo delle Carceri so that you can reach two of the main sites of Franciscan spirit. Combination of San Damiano church and Eremo delle Carceri. Inclusive of a return ticket and two hours visit. The San Damiano church in Assisi dates back around 6th/7th Century A.C. and it can be described as “an ancient and ruined church” to use the words of Tommaso da Celano. Finding himself near this church, Francis was stricken by its beauty and kneeling in prayer before the image of an old wooden crucifix (that nowadays can be found in the Basilica of Saint Clare), he heard a voice whispering, “GO and repair my house”. After its renovation, Francis modified its structure to host Chiara, who, following his example left her family and wealth to experience a new spiritual life together with her Sisters, the Clarisse Nuns. 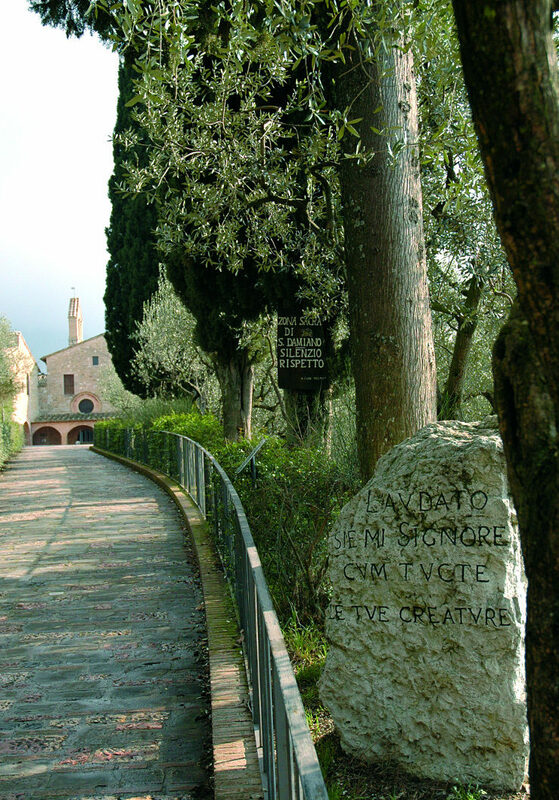 In winter-spring 1225 in San Damiano, St. Francis wrote the Canticle of Creatures. Radio taxi Assisi organizes a shuttle-bus for the Eremo delle Carceri so that you can reach one of the main sites of Franciscan spirit. Inclusive of a return ticket and one hour visit. 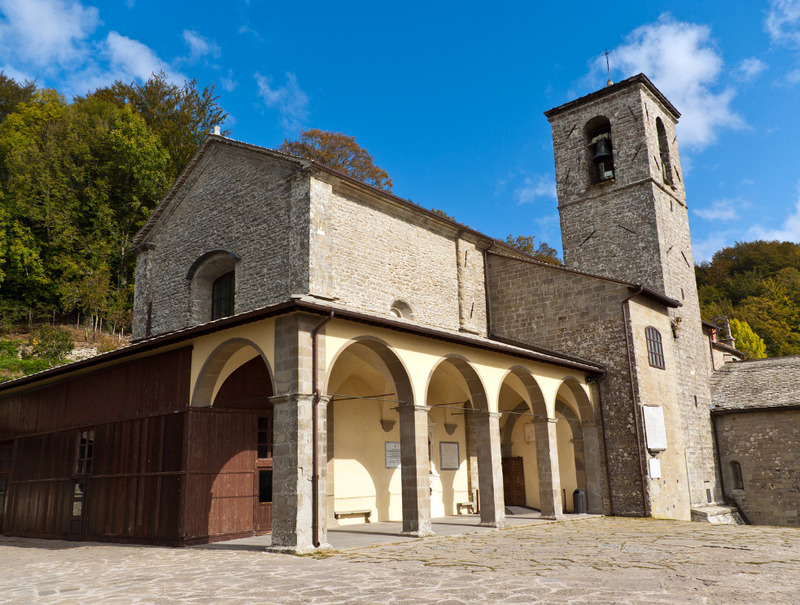 We can also offer you a combination visit with San Damiano church. Inclusive of a return ticket and two hours visit. 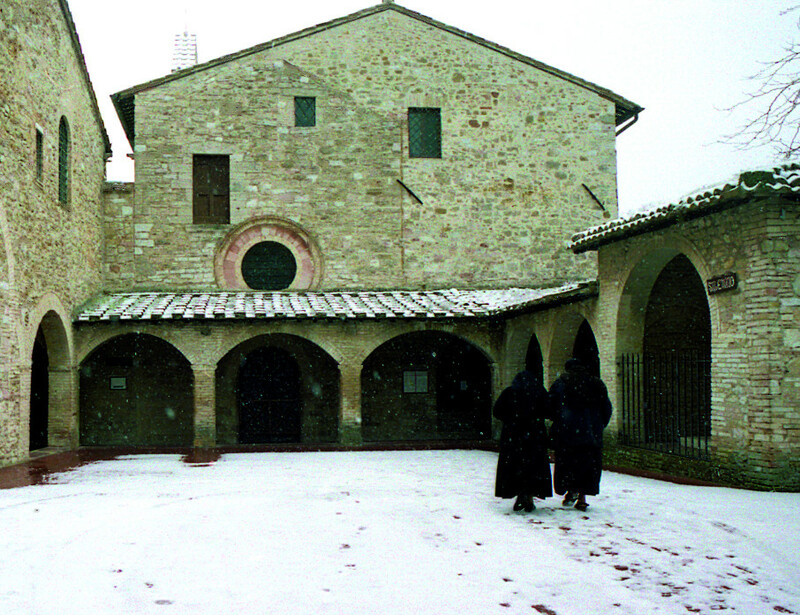 Located 4 km away from Assisi, the Eremo delle Carceri is the place where St. Francis used to go for pray and meditation. 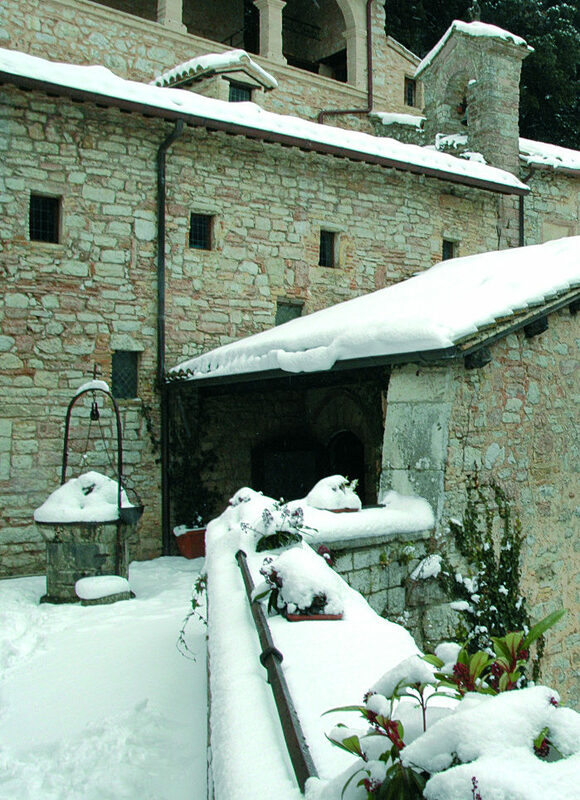 The Eremo delle Carceri is nestled in a woodland of holms oaks and centuries-old trees where, according to tradition, many miracles took place. This trip includes the visit to the most important sanctuaries of St. Francis life such as the Eremo delle Carceri and the Sanctuary of San Damiano where you can gather to pray and cherish the small grottos hosting “il Poverello”. You can relive the most suggestive events of his spiritual journey absorbed in a deep silence smelling the scent of holm and secular oaks. 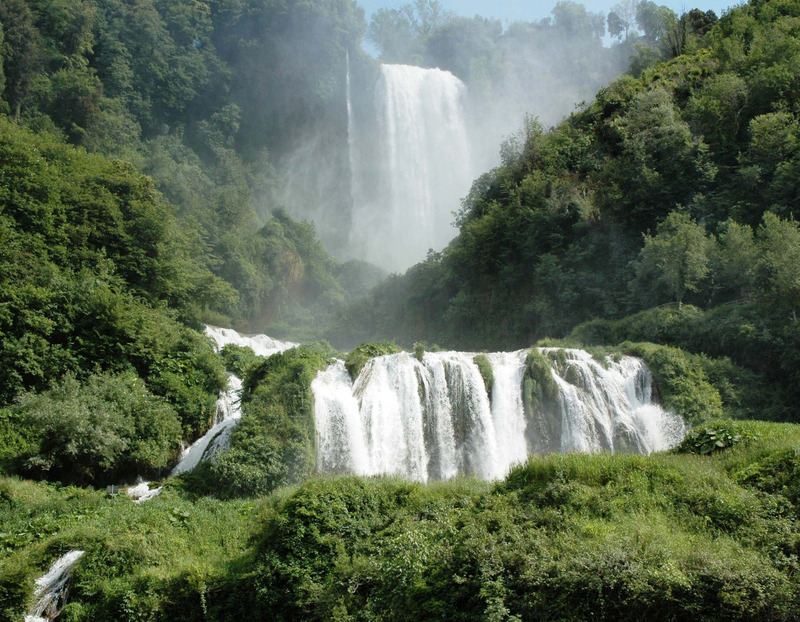 We will take you up to the peak of Subasio Natural Park, along the green meadows rich with Karstic phenomena clashing with the steep western sides. From the slopes of the park, we will go all the way down to get to Spello passing by the beautiful tiny village of Collepino. Montefalco and Bevagna are two typical medieval Umbrian hamlets rising up on green hills right in front of Mount Subasio; Roman remains, frescos and beautiful facades of their Romanesque churches characterize these two simple and wonderful small towns. Montefalco is the home town of Sagrantino, a DOCG wine obtained by the homonymous vine variety imported in the ancient times by the Franciscan friars from Asia Minor. Downhill, you will find Cannara, small village directly linked to the miraculous events of St. Francis life; it is here where “the Poverello” preached to the birds and a bronze statue was erected in the exact point where this event took place. La Verna Sanctuary is located over a natural sheer offering amazing landscapes and its beauty perfectly recalls the Franciscan spirit. The walls of this sanctuary were crucial in St. Francis path, as this was the place where many miracles took place and most of all where he received the Stimmata for the first time. This sanctuary is made of different buildings such as the Basilica major (1348) housing glazed terracotta by Andrea Della Robbia, the chapel of the Stimmata (1263) and the chapel of Santa Maria degli Angeli (1216). Rieti valley was one of the first stages of St. Francis wandering. Surrounded by Mounts Sabini and Reatini, it is crossed by a swarm of rivers and populated by ancient hamlets, castles and sanctuaries. During this amazing trip, you can enjoy not only the suggestive landscape but also the famous Great Cross marked by the Franciscan sanctuaries that, at the four corners of the valley enshrine the memories and the places visited by St. Francis. 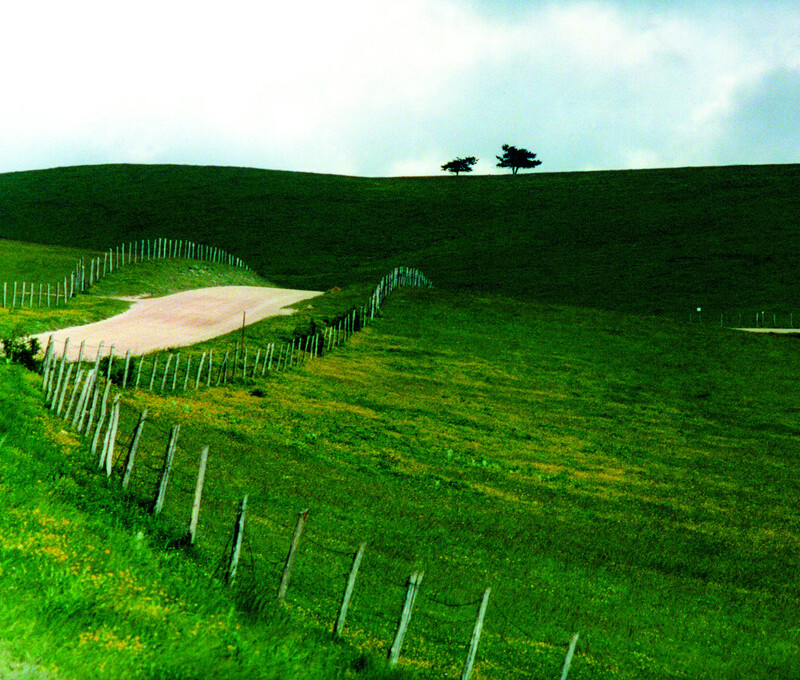 The sanctuaries to visit, thanks to our Taxi service, are the Fontecolombo, Greccio, Poggio Bustone and La Foresta ones. Founded by the ancient Umbri, it became a Roman colony and was named under Cesar “Splendidissima Colonia Julia”. It grew up in Roman age because of its strategic position next to the old Flaminia road. In the 4th Century it became an important religious place as named as federal Sanctuary of Umbri thanks to a special privilege given by Costantino who built a temple dedicated to gens “Flavia”. Conquered by Longobards, it belonged to Duchy of Spoleto. The town became an independent common, was divided in districts called “Terzieri”, and was involved in conflicts between papacy and empire being destroyed by Federico II army. Most interesting places are Consular door and the church of Saint Mary Mayor with its splendid Baglioni chapel decorated with wonderful frescoes from Pinturicchio. and any other place located in Umbria region. Services from and to San Francesco di Assisi International Umbria Airport, Perugia. 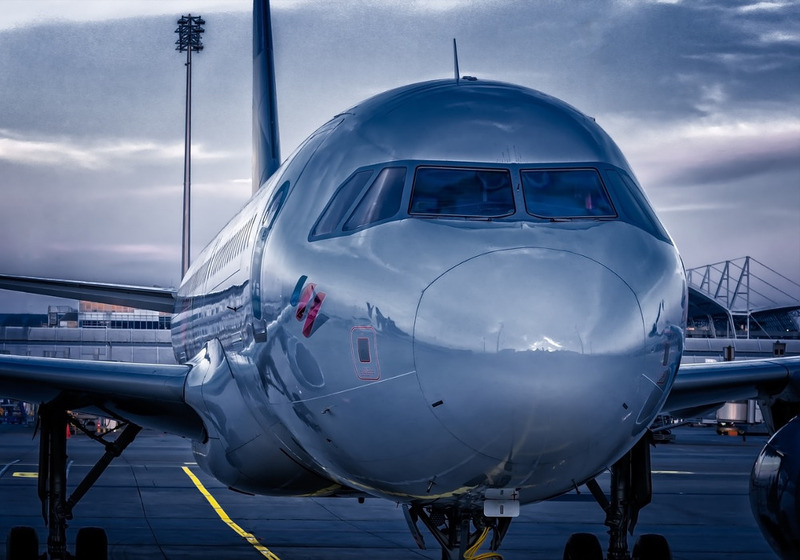 This airport is growing fast and offers many flights to Italian and foreign destinations. 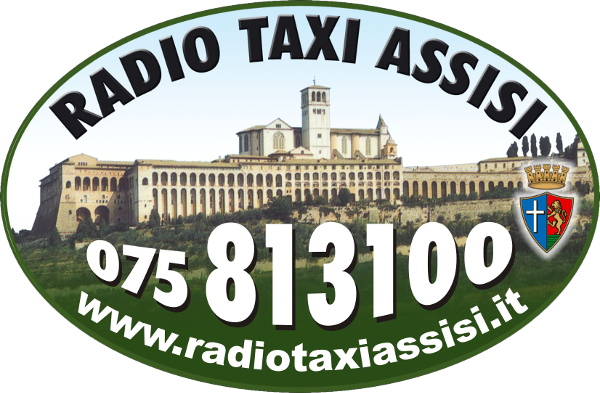 Radio Taxi Assisi carries out airport transfer service from and to any hotel, accommodation or restaurant located in Assisi, Perugia area or any other Umbrian location. 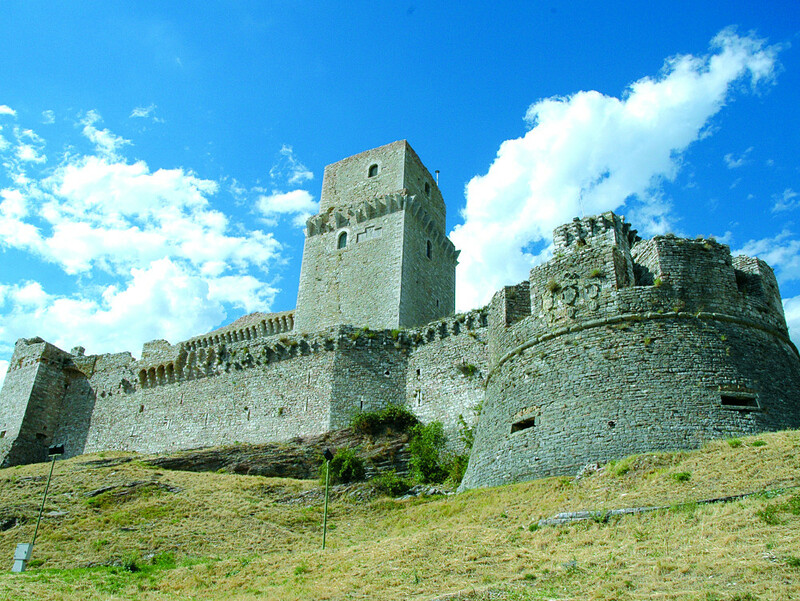 Radio taxi Assisi also connects you with other centre-Italy airports and organizes guided cultural visit and wine and food tours. Finally, it offers transfer services from and to any Umbrian railway station or any other Italian destination you may require. Taxi for main Italian airports, harbours and train stations, taxi for main Italian art cities and, upon request, any other out of town service you may need. I have read and accepted terms and condition.